Moving to a new OS can be a steep learning curve, and you may have to leave behind your beloved Windows apps. What if you could run Windows apps without using Windows? Step up ReactOS. Mac OS X is fantastic. Linux is great. But what if you need access to Windows apps? What if you like the look, feel, and functionality of Windows? I recently took a look at Q4OS, a Linux distro with a Windows skin, but it doesn’t allow you to install Windows apps seamlessly. Running Windows apps on other platforms isn’t new. We already have Wine for running Windows apps on Linux as well as commercial software titles, such as Crossover from CodeWeavers, that allows Mac and Linux users to run Windows apps on their respective operating systems. Both negate the need to install Windows itself. My review of Q4OS was glared at by Linux users who couldn’t see why you would want to run Linux and then make it look like Windows. 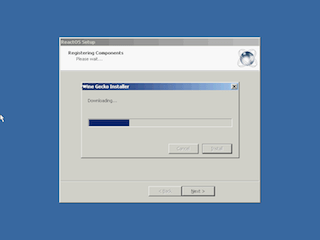 ReactOS is different: It is a complete operating system that is compatible with Windows apps and drivers. It is a replacement for Windows. According to their website, ReactOS “is a free open source operating system based on the design principals found in the Windows NT architecture.” Before I continue, I should point out that ReactOS has nothing to do with Microsoft. It is built completely from scratch by a non-Microsoft team. The name react is a reaction to Microsoft’s monopoly on the PC market. 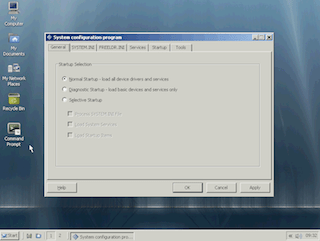 ReactOS stems from an earlier project called FreeWin95, which was started in 1996. However, it failed to get off the ground. 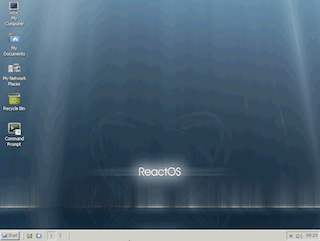 In 1998, the developers revived the project and renamed it ReactOS, this time basing it on an NT kernel. 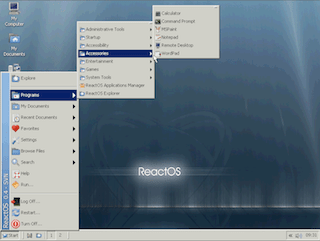 ReactOS has a similar look to Windows so that people used to the familiar interface of Windows could use it easily, allowing them to use an alternative to Windows without changing the software and applications they are used to. Let’s have a look. With most open source software, it is available free. The ISO is 348 MB, around the same size as Windows 2000. 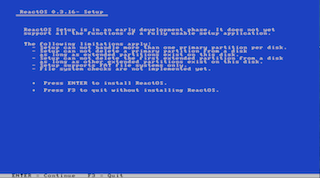 Installation is very simple, and for anyone used to installing Windows 2000 or XP, you will recognise the blue background and white text based installer. A few questions about language and drive options, and the installer sets off doing its thing, which it does very quickly. I installed it in VirtualBox on my Early 2009 MacBook, and the installation completed within 5 minutes, after which I was presented with a nice looking boot screen reminiscent of Windows XP with a black background, centre logo, and progress bar. The first boot pops up a familiar blue background with Microsoft style information/dialogue boxes asking further questions and finalising set up and hardware installation. 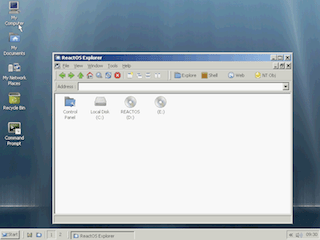 Whereas Q4OS went for a near identical look to Windows 2000/XP classic, ReactOS looks like a combo of Windows and Linux. 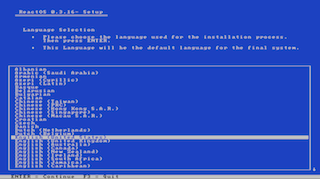 However, it is not Linux or Unix based OS at all – this is an NT5 upwards compatible OS. You have your familiar Start Button and task bar, desktop, and icons up the top left hand side. The Start Button pops up a Start Menu featuring sub menus that feel very Windows-like in their arrangement and naming. Clicking the My Computer icon on the desktop opens an explorer window. Browsing around the menus and settings you could be fooled in to thinking this is a Microsoft product, with even the System Configuration screen looking very similar to the msconfig one in Windows XP. 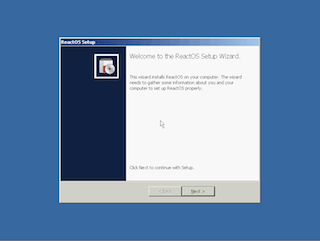 While the main core of ReactOS is built from scratch, it has some dependencies on existing software and protocols. It uses parts of Wine, networking in the form of lwIP, USB from Haiku, as well as FreeType, Mesa3D, and UniATA. ReactOS is capable of running native Windows apps and comes with its own Application Manager, which points to tested app downloads. 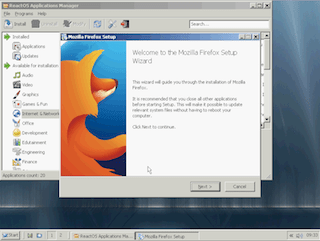 I found Firefox 26 in the Application Manager and installed it. As it is installing, you can see it downloading from the Mozilla FTP site and see it pulling in the Windows version. Firefox installed fine, and I browsed a few sites including Facebook without any issues. I then thought I would see I could install an application from a website, so I headed over to the AVG site – after all, if this is based on Windows, I might need to get some protection. 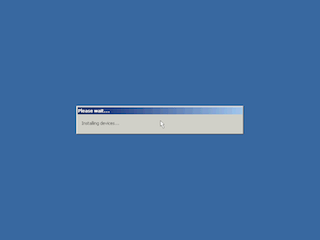 Five minutes of browsing and before I got the chance to download it, I was faced with something most Windows users see, a blue STOP screen. 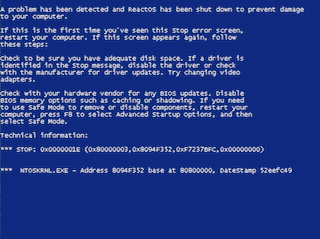 Nothing screams “I’m based on a Microsoft product” like a blue screen of death. Joking aside, this is still a very early alpha version. The developers do not claim it is stable or the ability to operate as your main OS and clearly state it is “recommended only for evaluation and testing purposes”. Here is where it gets interesting. ReactOS has some very low requirements. A Pentium processor and 64 MB RAM are minimum with 256 MB RAM recommended. 350 MB of hard drive space is need and a 2 MB VESA video card. Windows XP wouldn’t run on hardware this low; in fact, these are closer to the Windows 2000 requirements. Obviously higher hardware would give you a better experience. So if your aging machine is struggling under today’s demands, this lightweight OS could be a great answer, once it reaches beta and public release. You may be wondering what purpose this has. Well. Windows 2000 is too old and Windows XP is being killed off at the beginning of April. Your hardware might not be able to run Windows Vista or 7 or you might not want the expense of doing so and Linux might be a step too far for some. ReactOS could extend the life of hardware, by installing this lightweight’ Windows compatible alternative. For those who want the feel of Windows and who has basic needs, ReactOS could be useful. It has the ability to run native Windows apps, which means most software should run. No purchase. No installation code. No activation. Windows without the hassle of Windows. A very interesting project indeed, one I shall be keeping a close eye on. 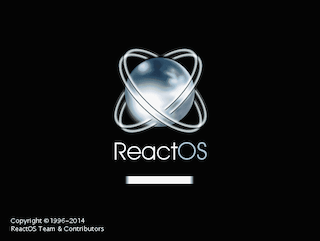 For more information and to keep up with the latest releases, visit the the ReactOS Project website.